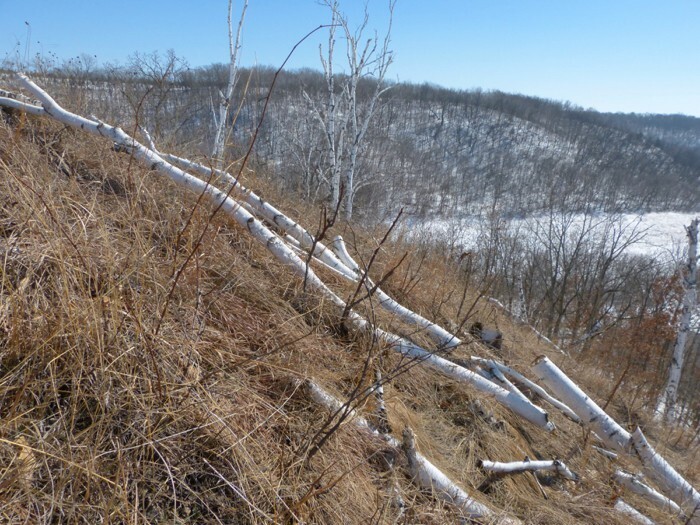 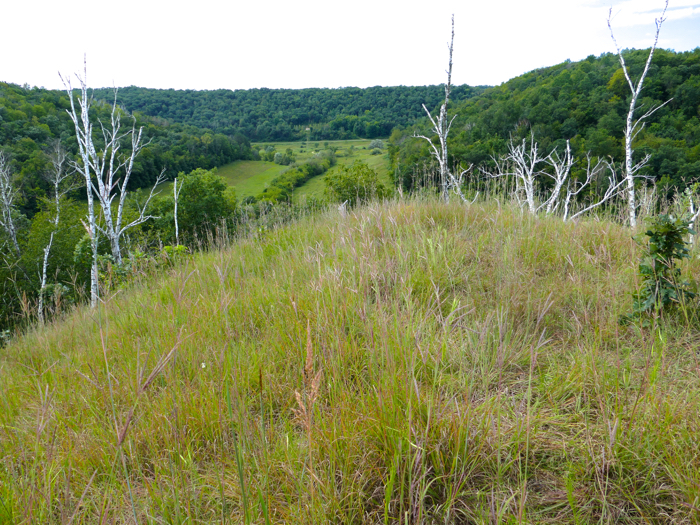 It’s been fun this year to see what happened to the savanna areas we cleared last fall. 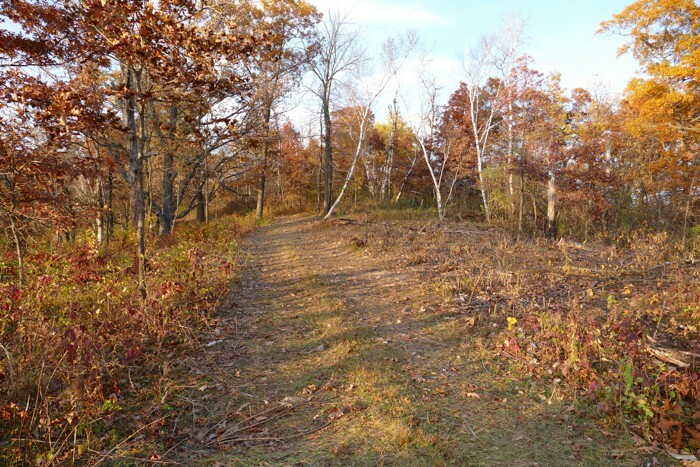 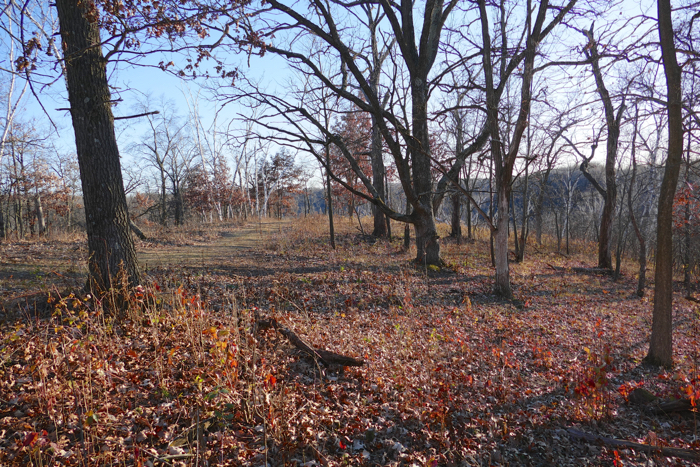 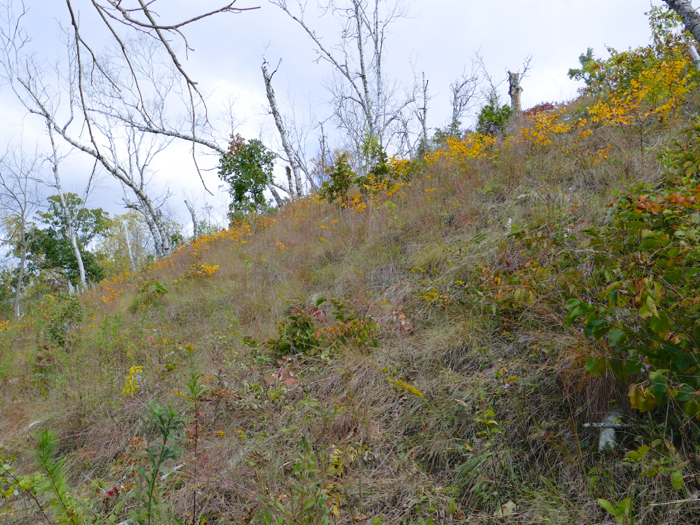 I also worked more on clearing the steep prairie sides of the prairie point, and, in late fall, we did more savanna work – enlarging the remnant savanna even more. 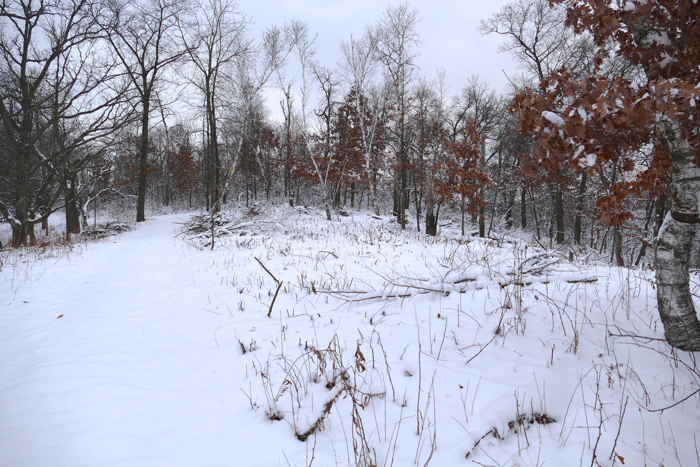 Here are some photos from this year. 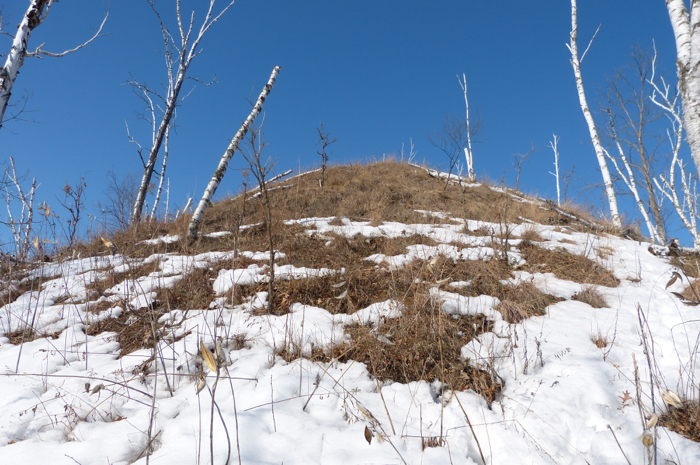 1/14/2014 east slope of the point that I cleared last year. 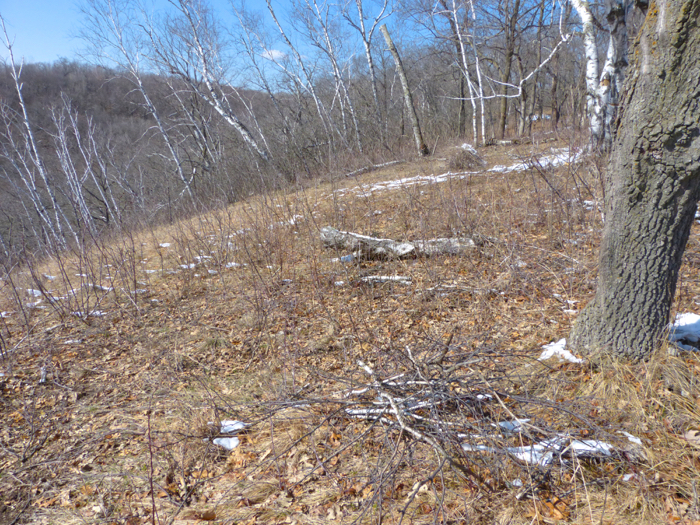 4/2/2014 I cleared out a few more tangles of vines and raspberries from the point. 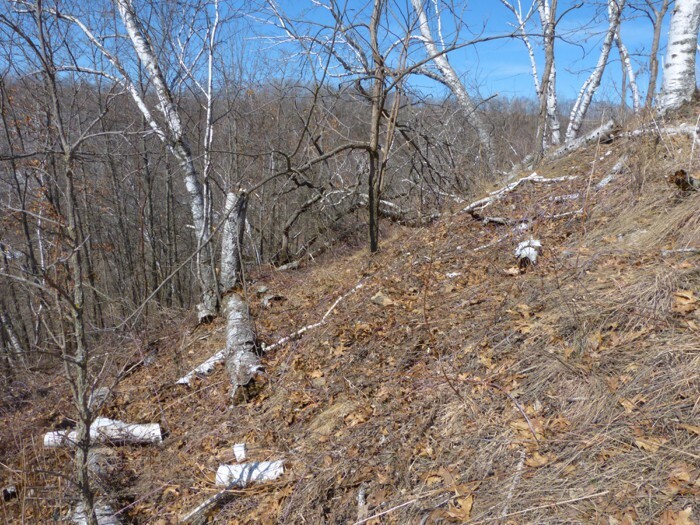 4/15/2014 One of the remnant openings that’s been growing up in raspberries, prickly ash, and honeysuckles. 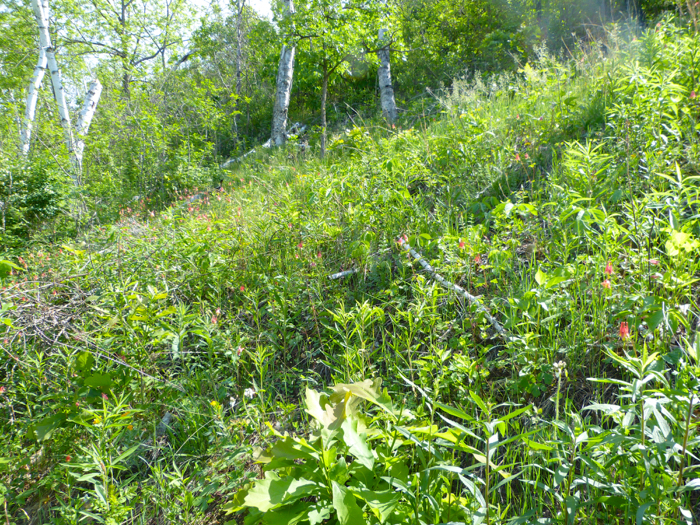 I especially wanted to cut and treat the honeysuckle stumps so they wouldn’t grow back. 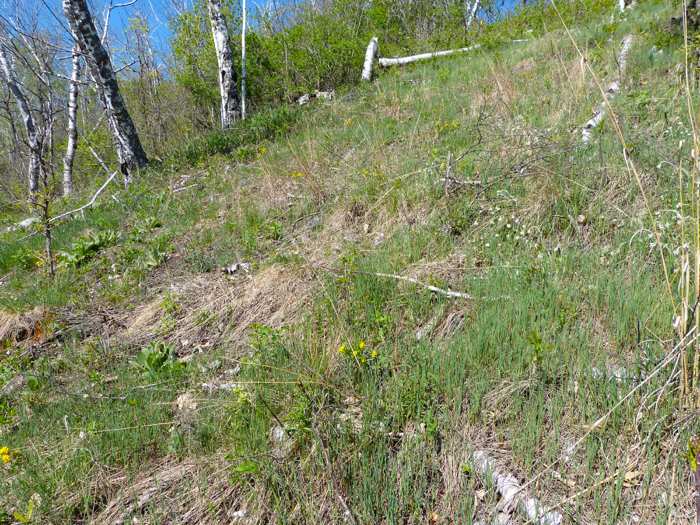 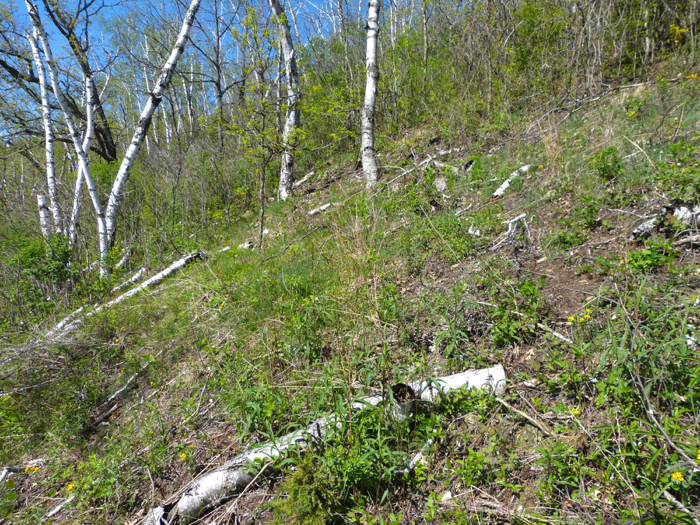 5/23/2014 This is part of the west-facing slope of the point that I cleared last fall. 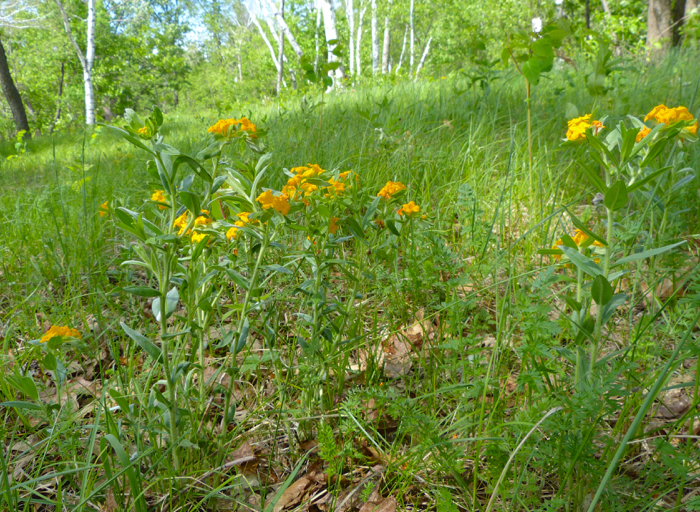 Pussytoes, Hoary Puccoon and other prairie flowers are blooming here already. 5/23/2014 More of the cleared prairie – with more work to do beyond. 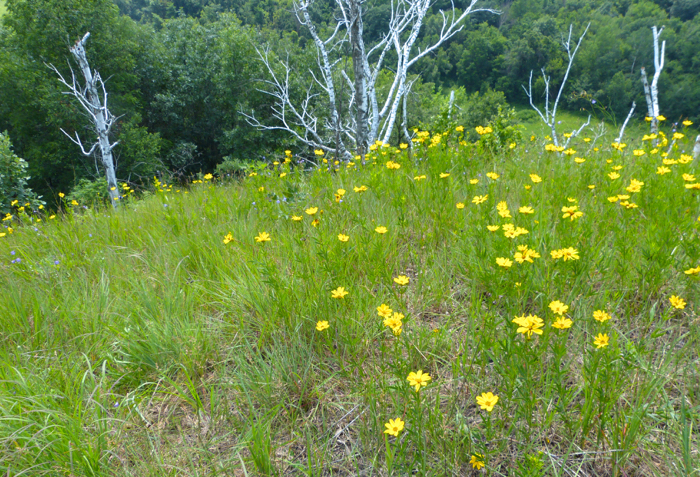 6/3/2014 This is just above the house, along the path up the hill. 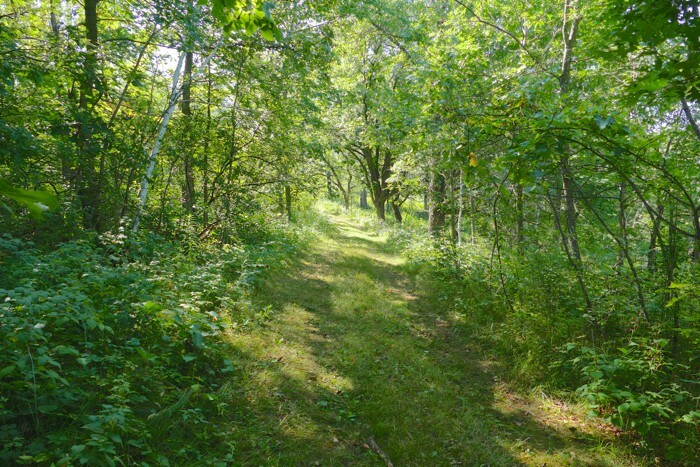 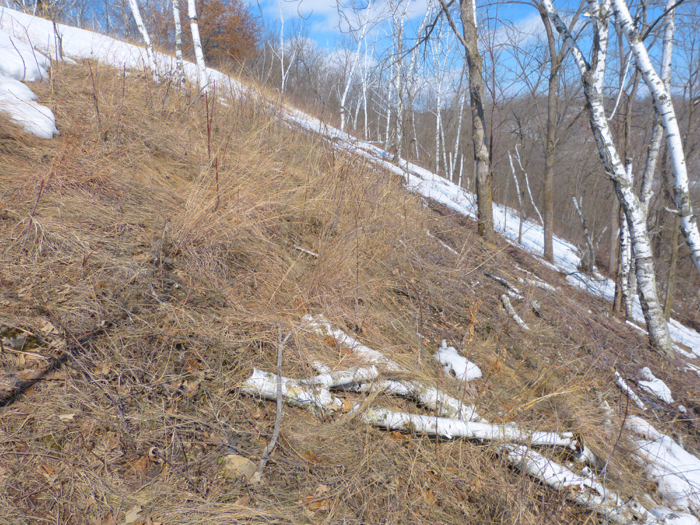 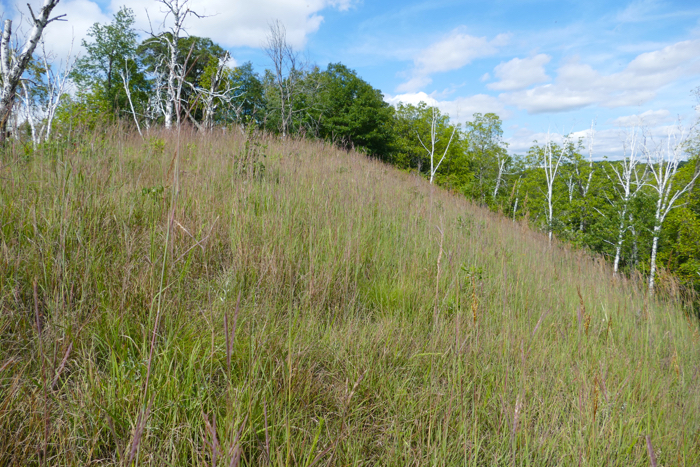 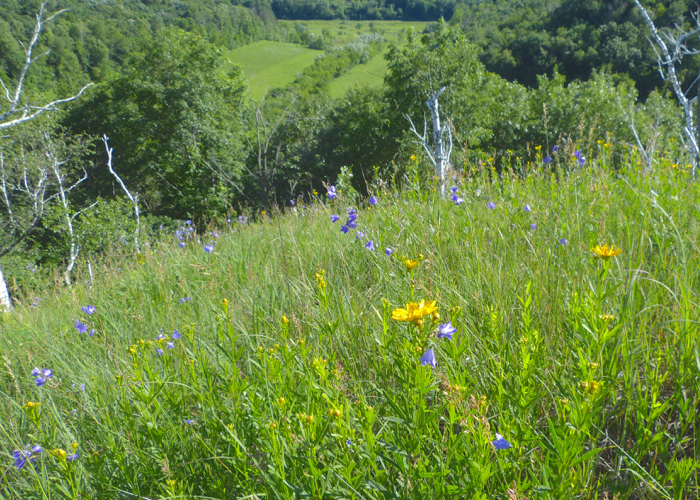 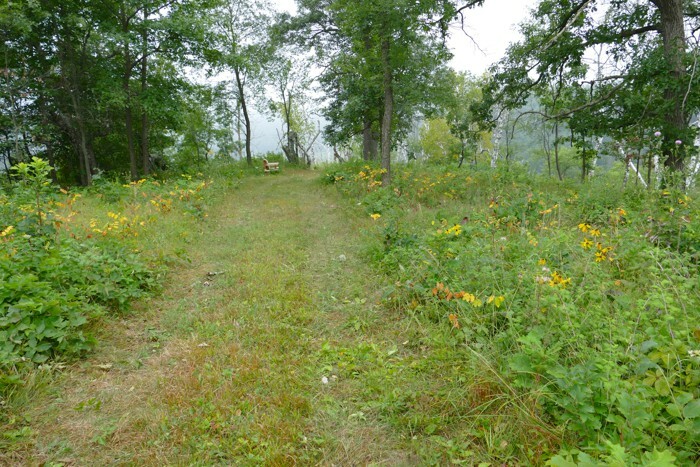 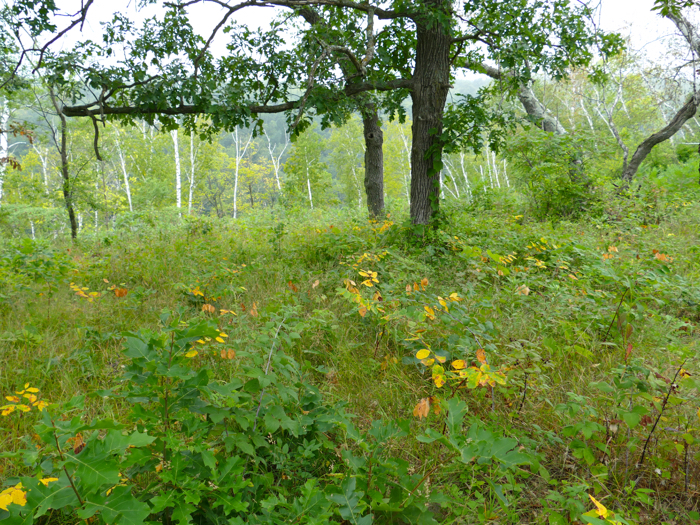 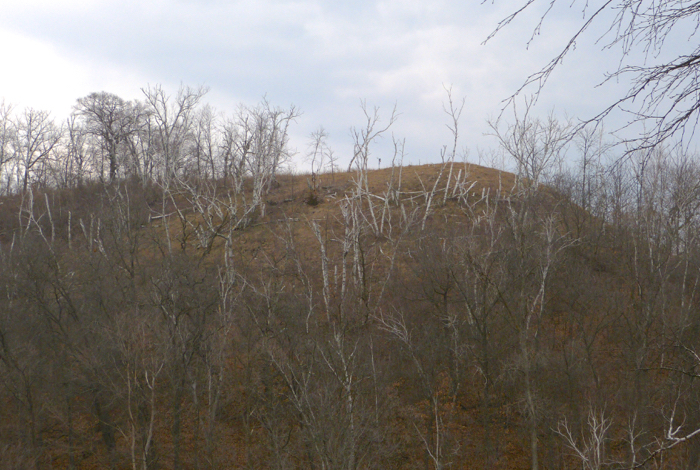 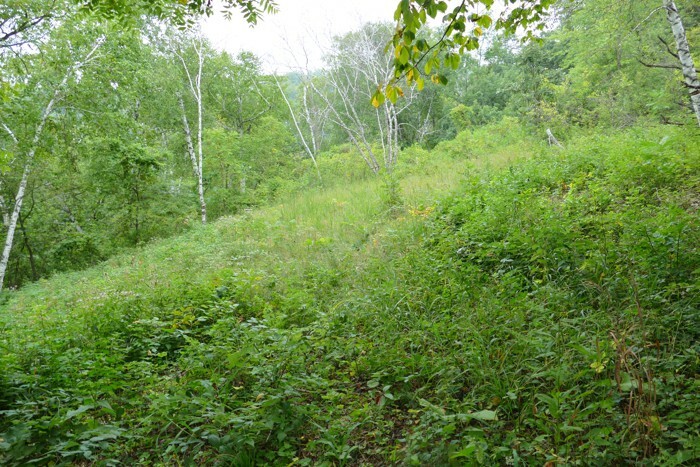 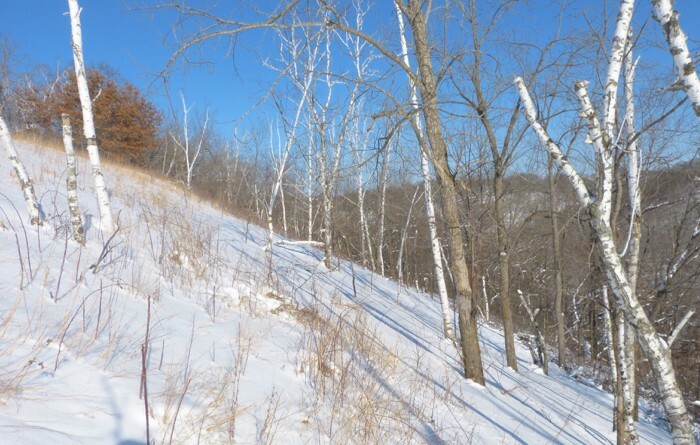 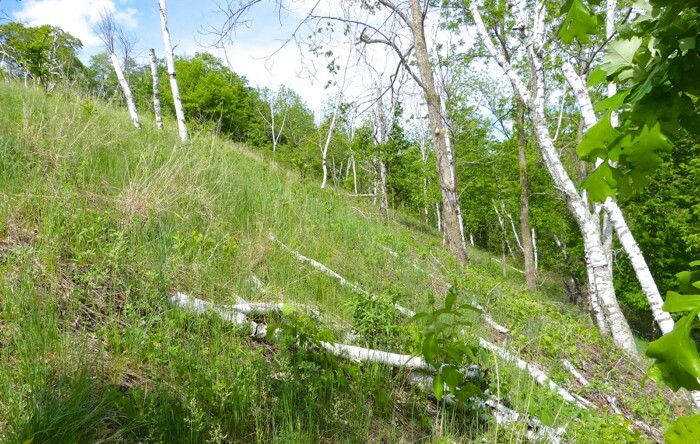 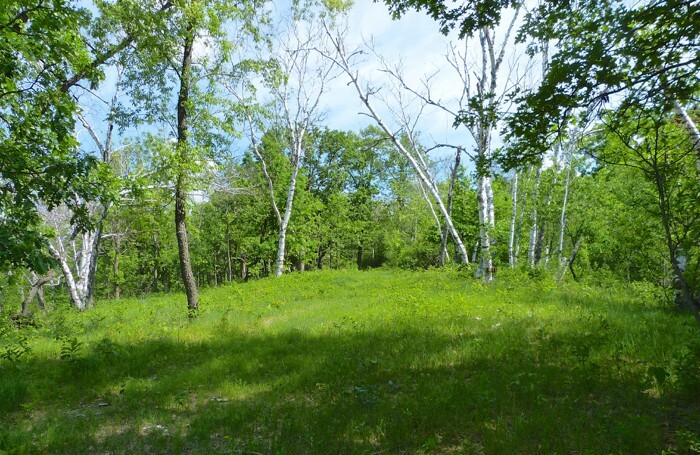 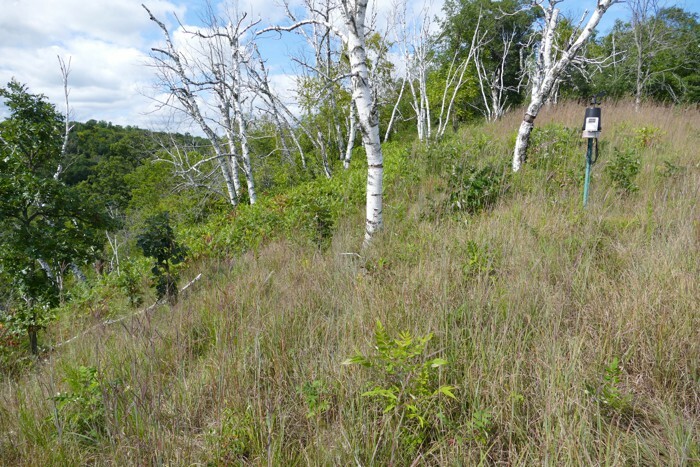 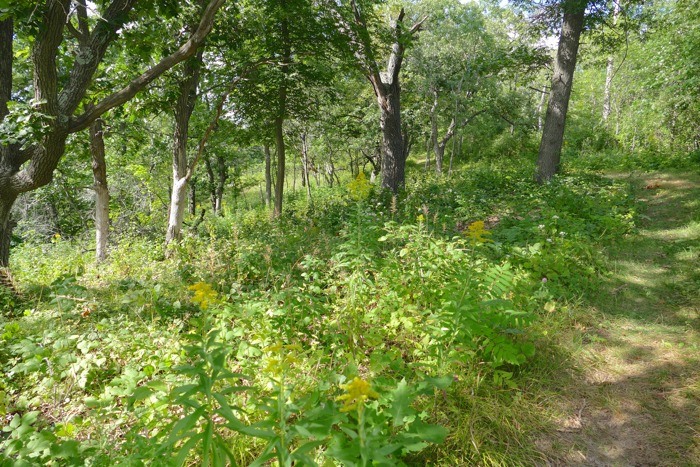 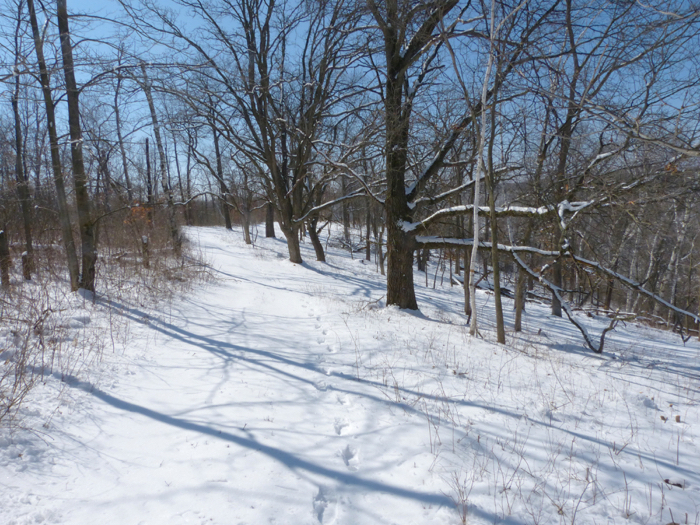 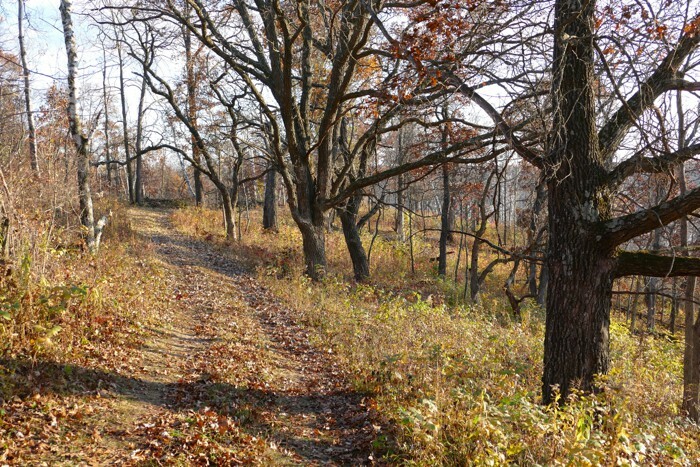 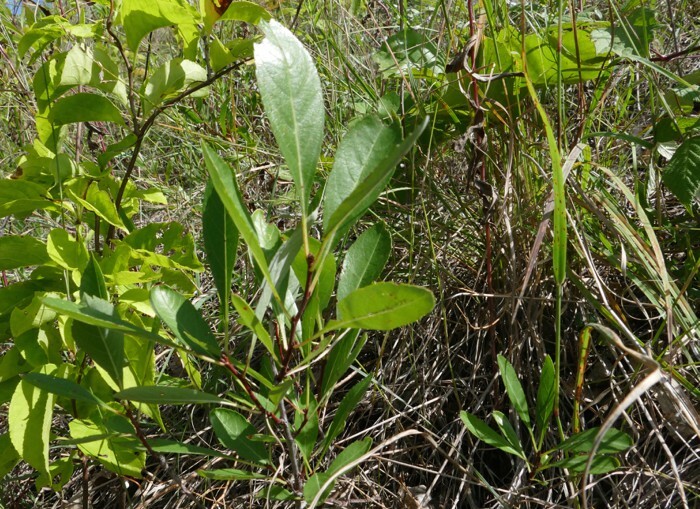 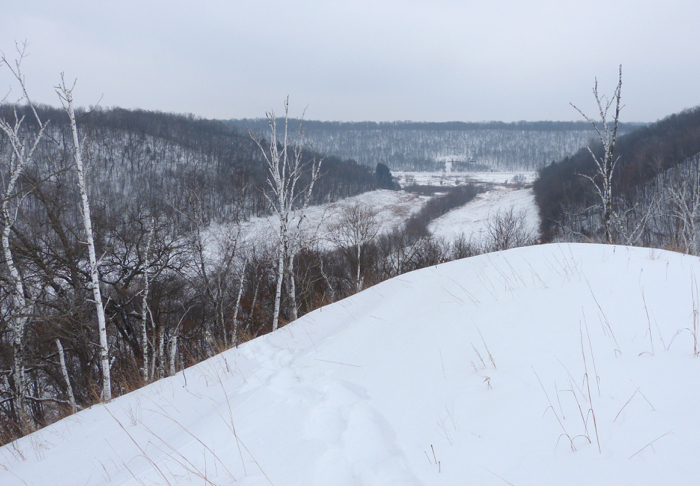 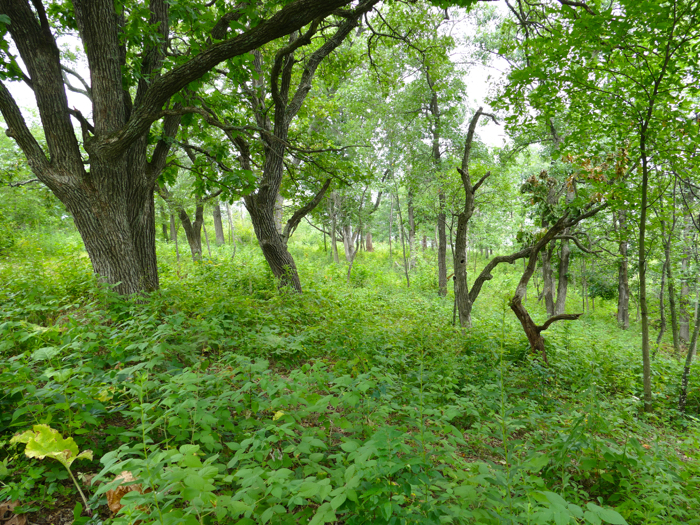 This slope should all be prairie and savanna – it faces south and there are prairie plants under the trees. 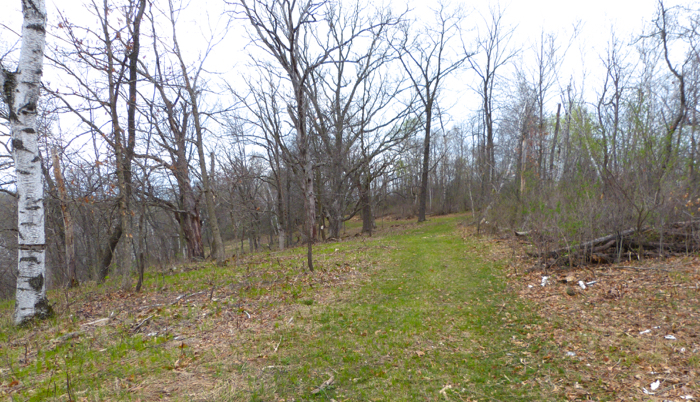 I’m slowly clearing it both from the bottom and from the top, but it’s very slow. 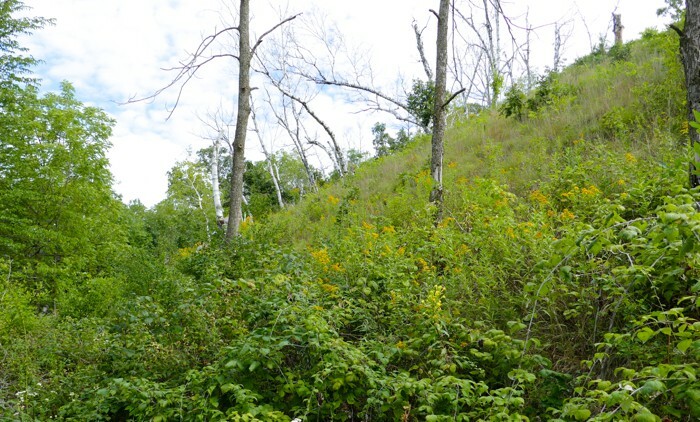 This is the bottom of the slope. 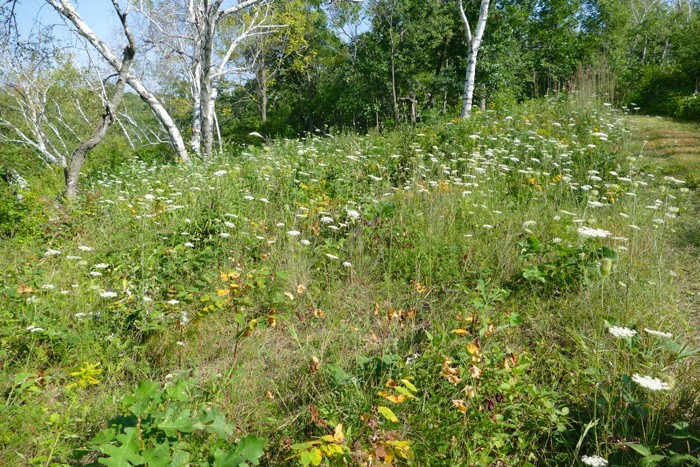 8/15/2014 Another project I did was to pull Queen Anne’s Lace. 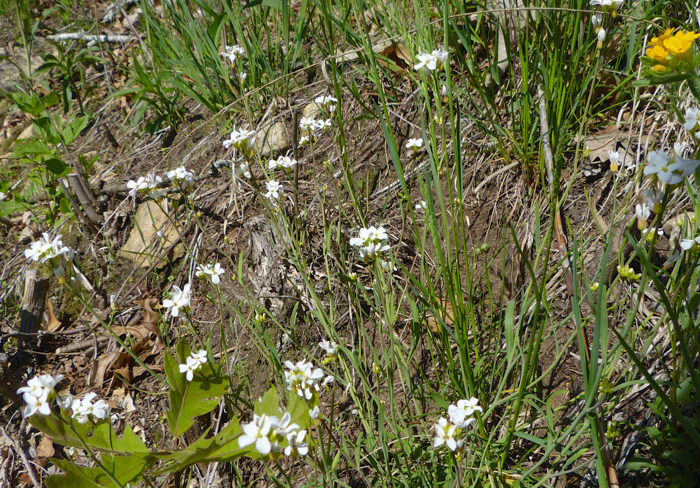 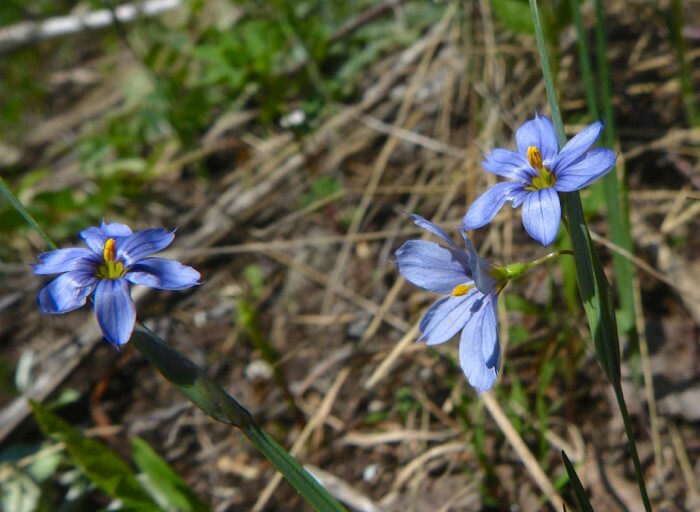 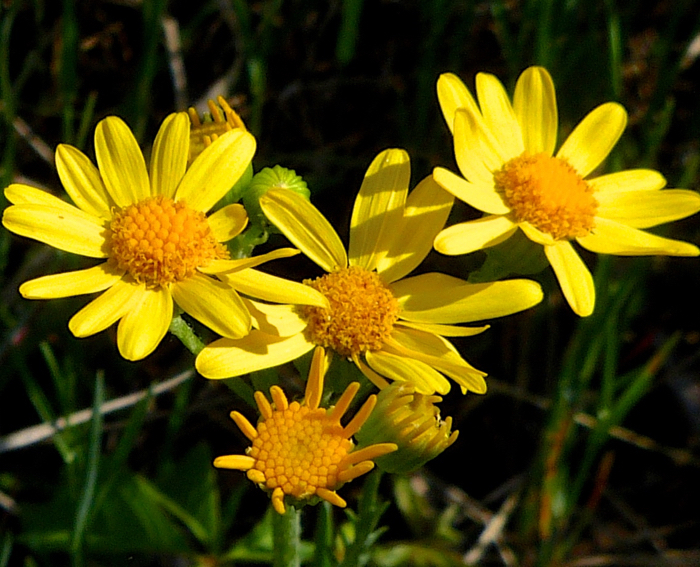 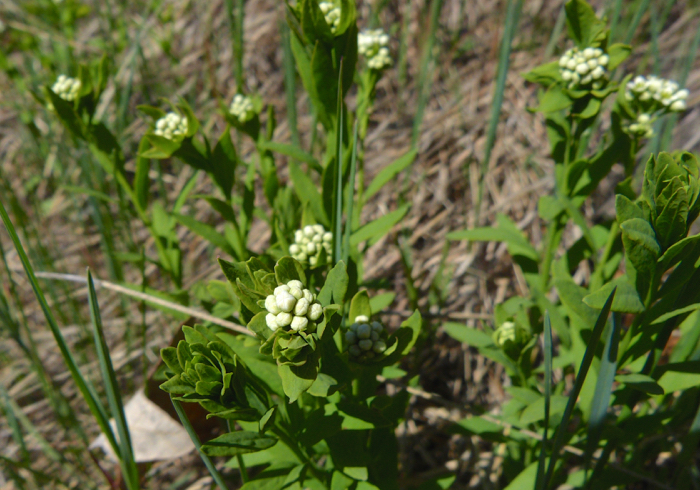 It’s a weed that I’ll probably never get rid of, but it’s a distraction from the natives that are starting to come back – it makes them much harder to see. 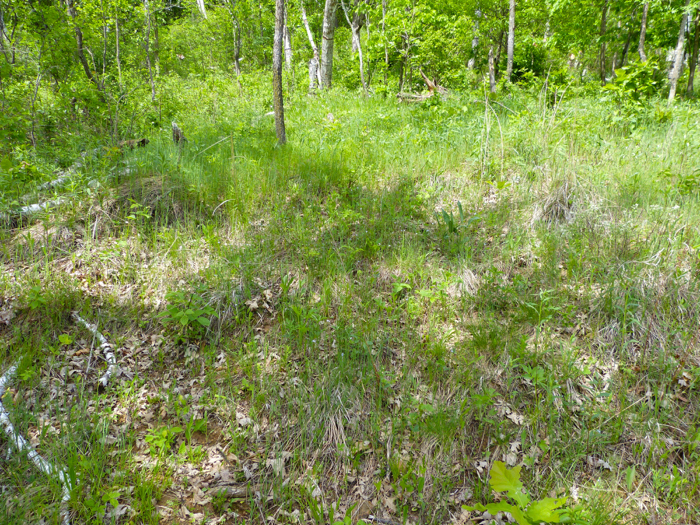 This was taken before I started. 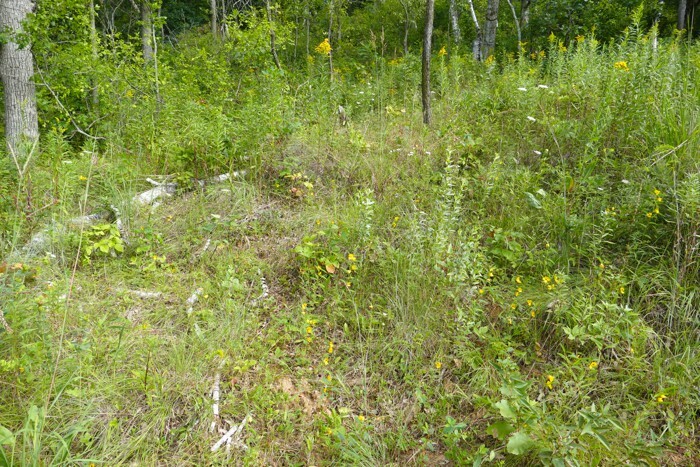 8/16/2014 And this is after weeding it. 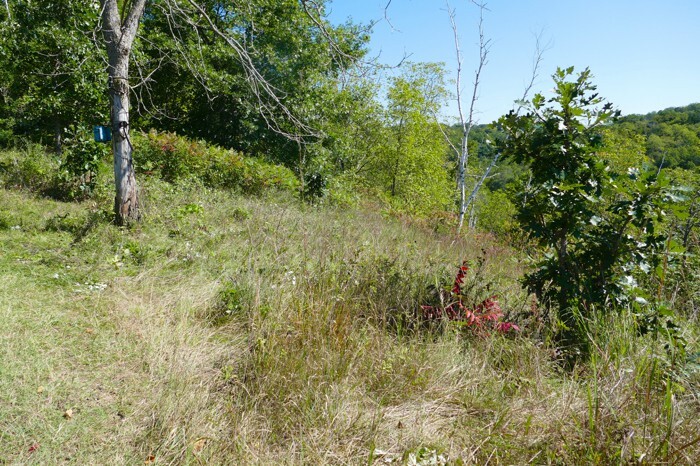 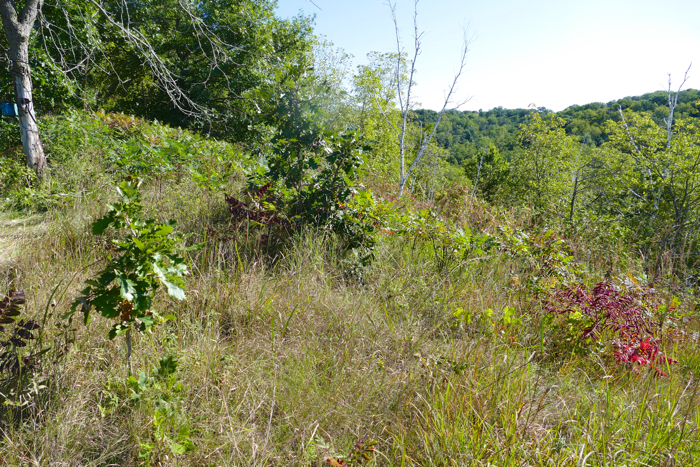 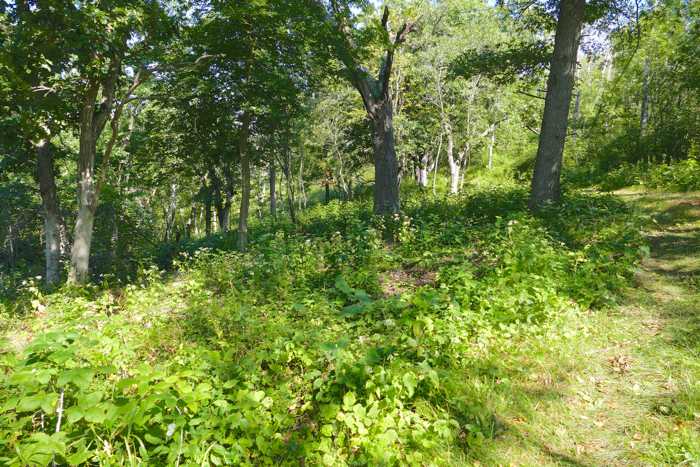 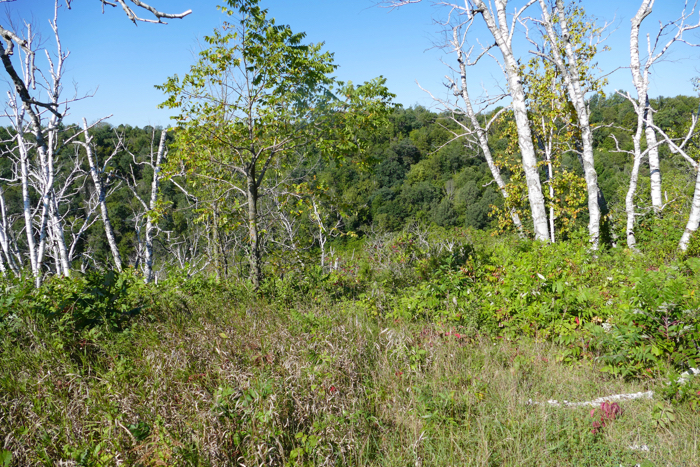 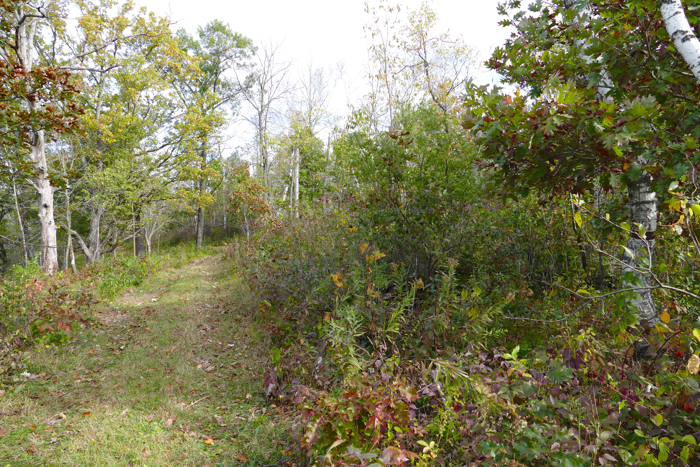 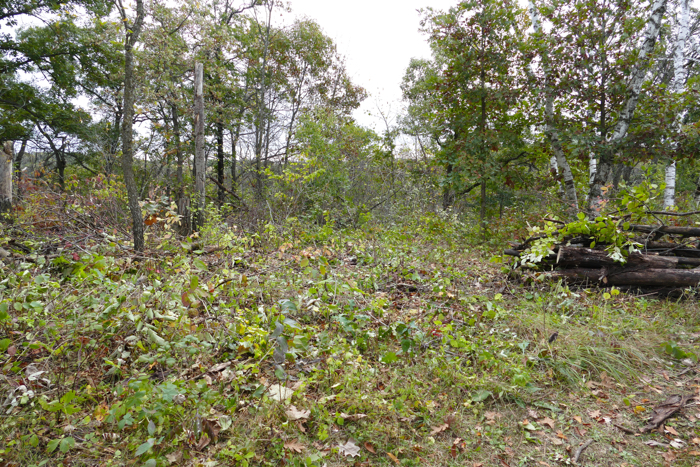 8/27/2014 West facing slope – this shows the big raspberry patch which has covered the brush pile I made when I was clearing the hill. 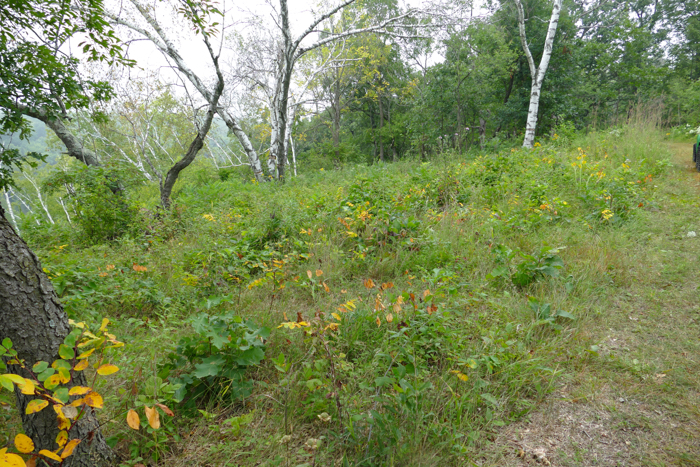 9/6/2014 We used the weed-whacker to cut some of the sumac and raspberries that were encroaching on the prairie. 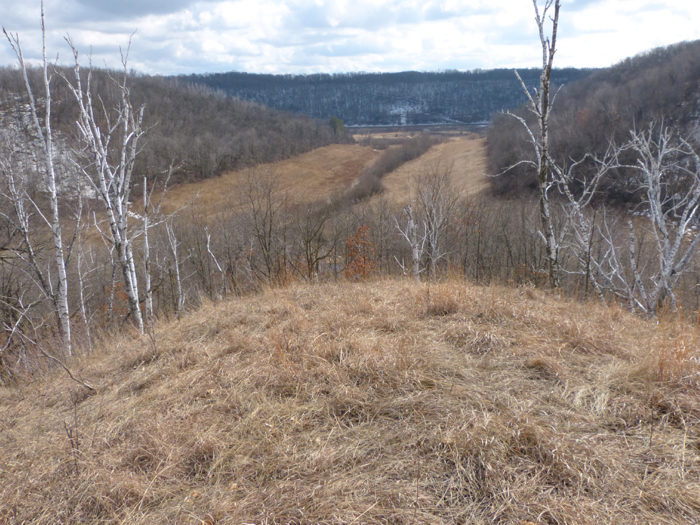 This was taken before we started. 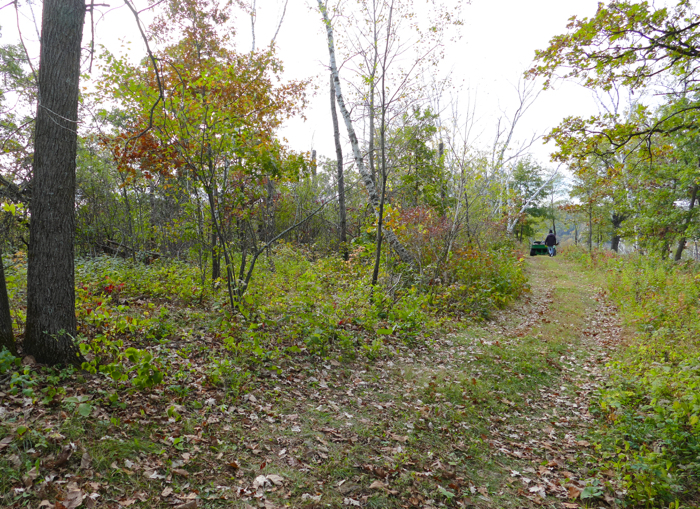 10/5/2014 We decided to start clearing the east side of the path. 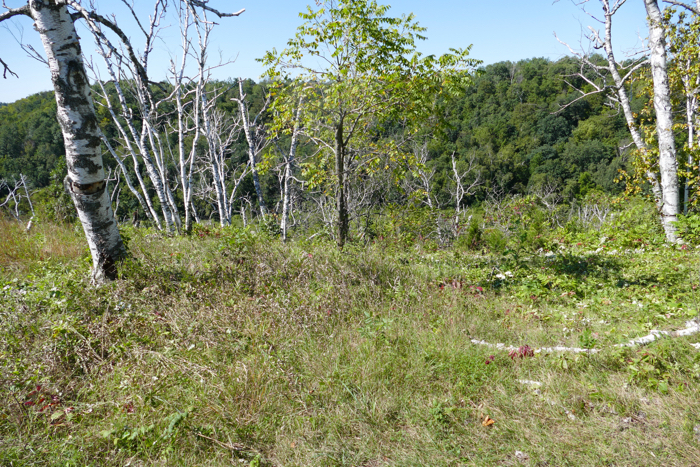 This is before we started. 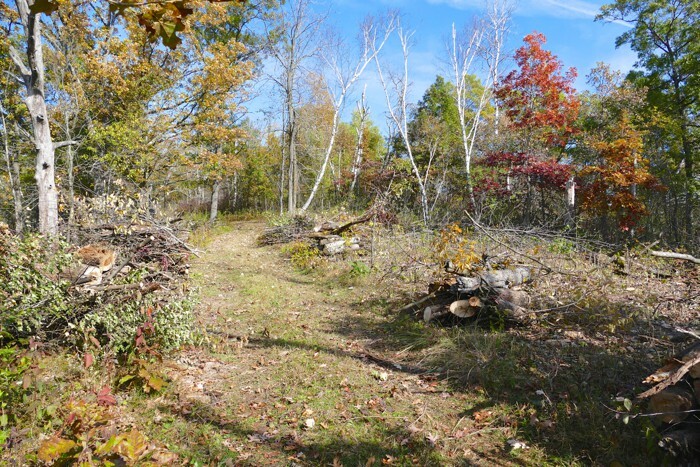 11/12/2014 The end of clearing projects for this year.